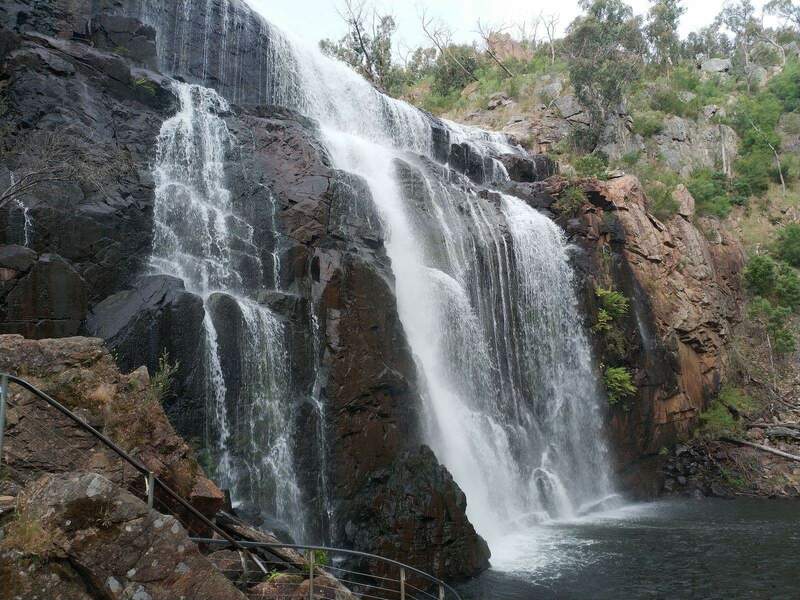 Regarded as one of the largest and most popular waterfalls in the Grampians, MacKenzie Falls welcomes everyone to its peaceful setting. 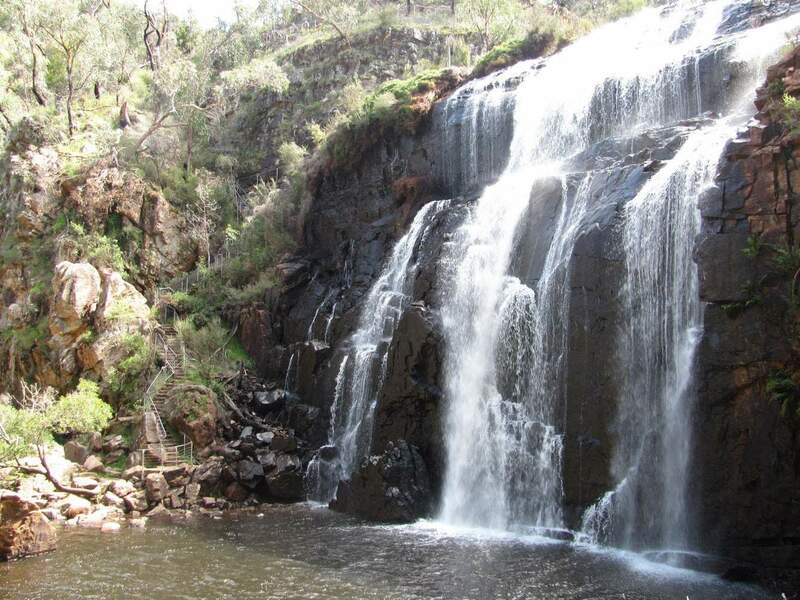 Adjacent to the renowned Grampians National Park, Mackenzie Falls is a major tourist attraction in this area. 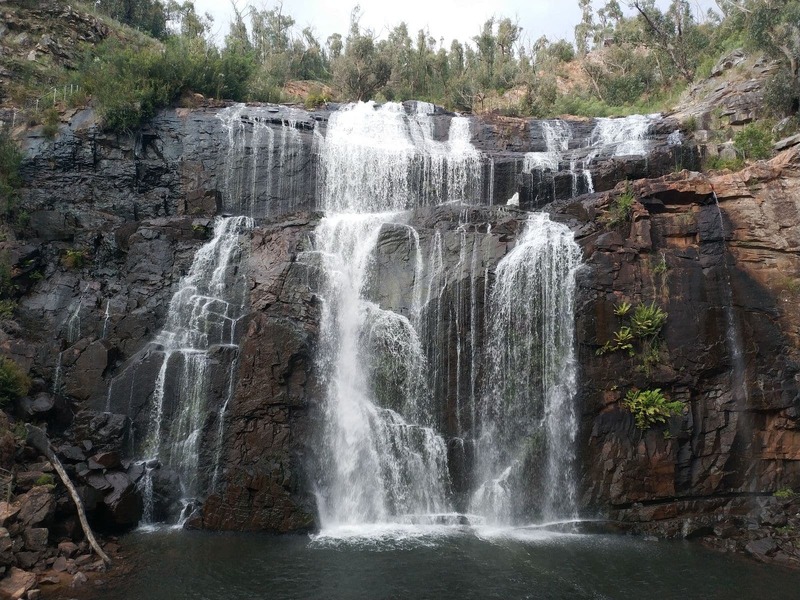 Due to regular rainfall, the waterfall is the only all-year-round flowing waterway in the entire region. 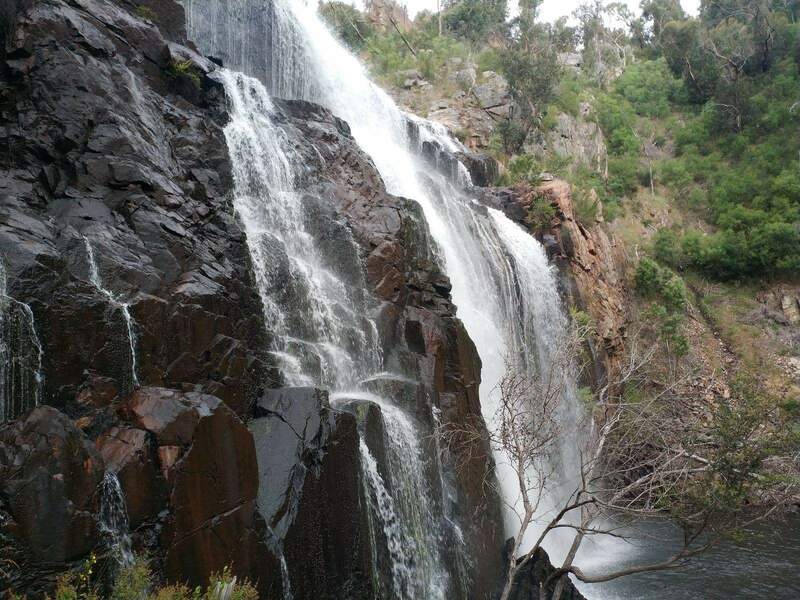 Visitors to the Grampians often visit this waterfall and enjoy picnicking, strolling through the grounds as well as various water activities. 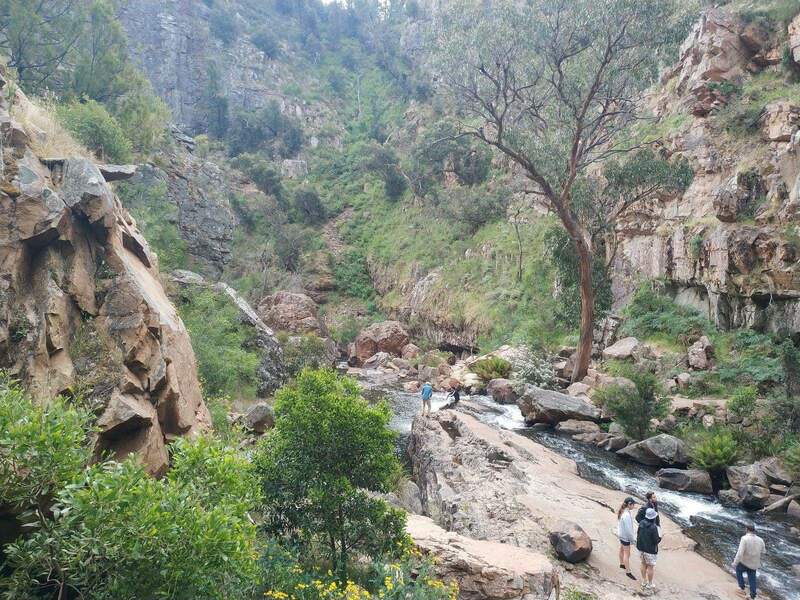 Panoramic views of the majestic mountain ranges and its surrounds can be enjoyed from the many viewing locations in the area. 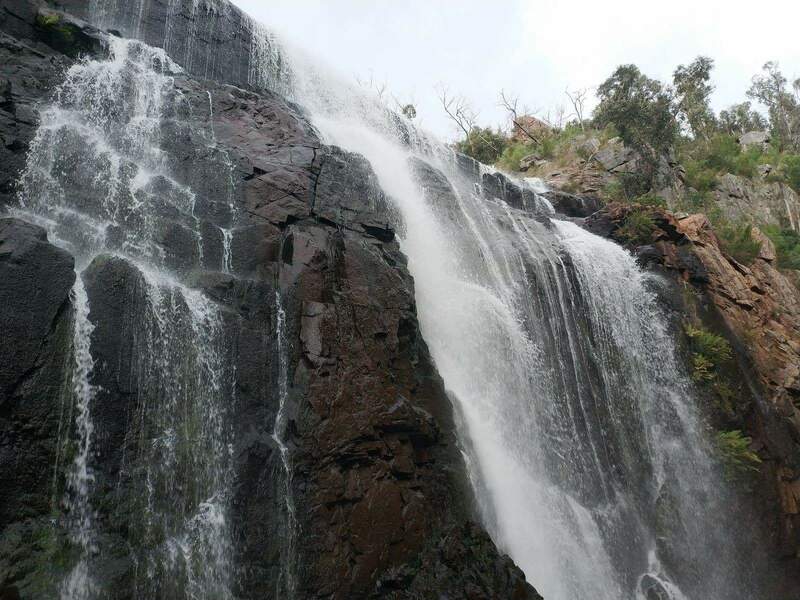 With the Grampians in the backdrop and surrounding grasslands, MacKenzie Falls offers an assorted range of outdoor activities for visitors. 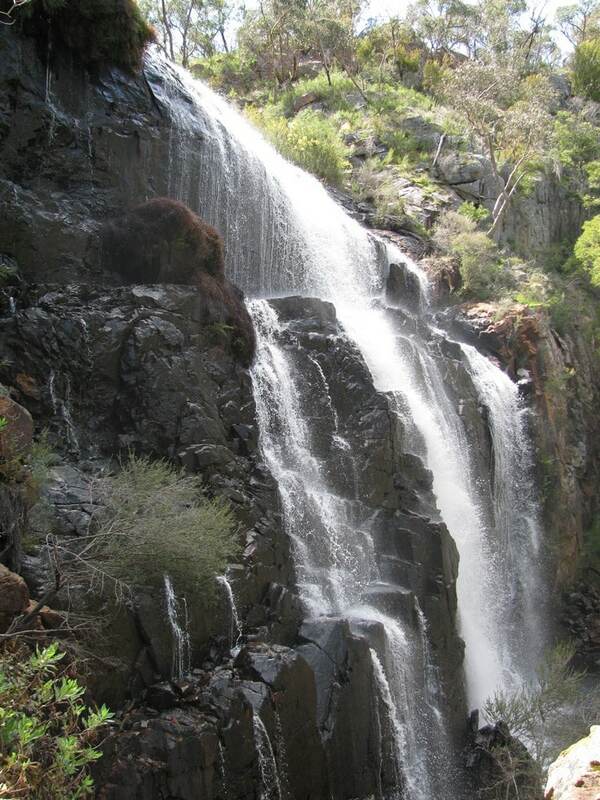 Hiking, rock climbing and mountain biking are the major outdoor activities enjoyed by visitors to the Grampians. 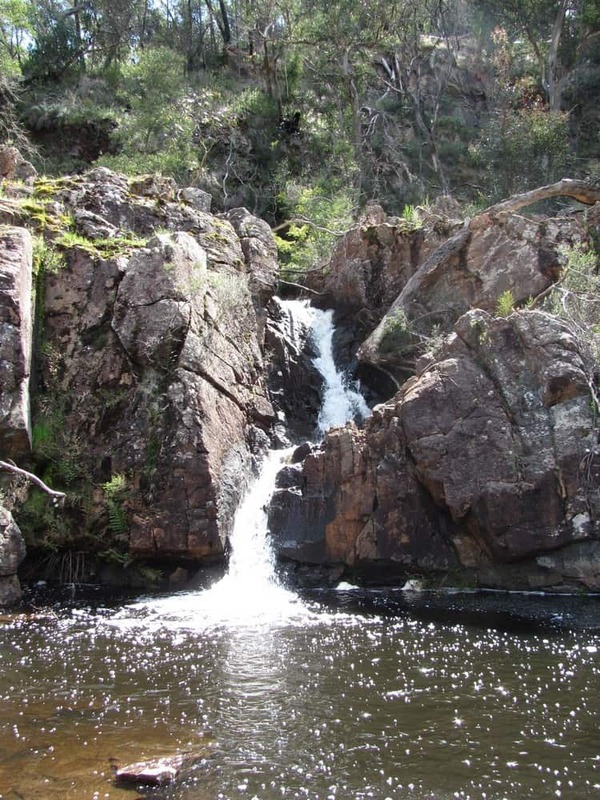 In addition, visitors can go fishing or kayaking across the pristine rivers and lakes in the Grampians. 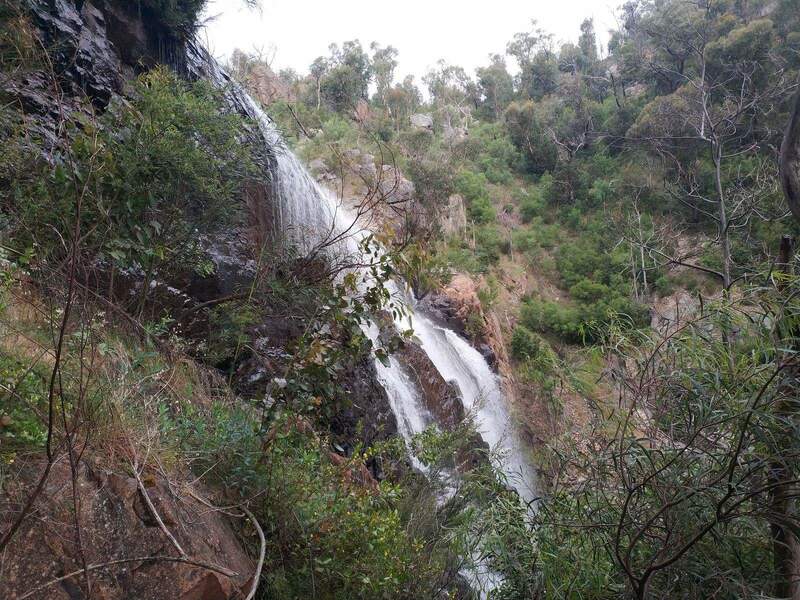 The region boasts two main walks for the best view of the falls. 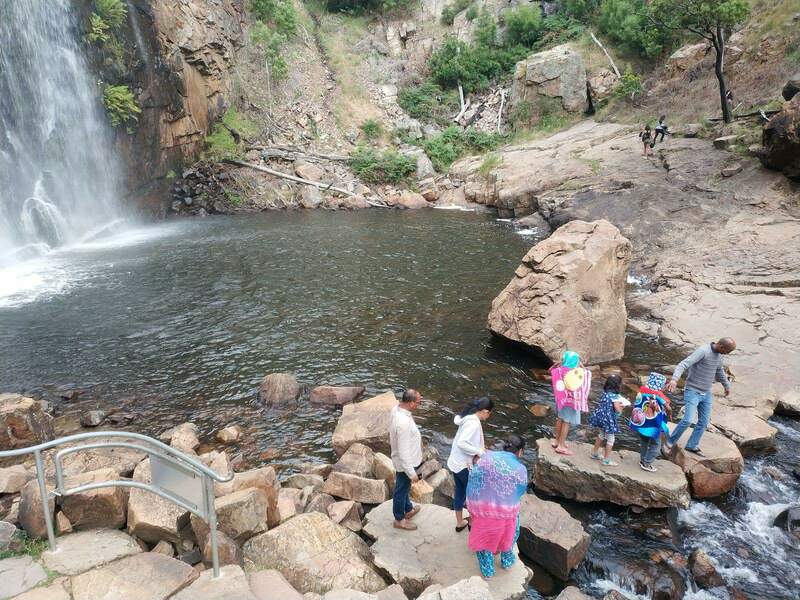 Take a walk to the bottom of the falls and see the falls in all their glory. 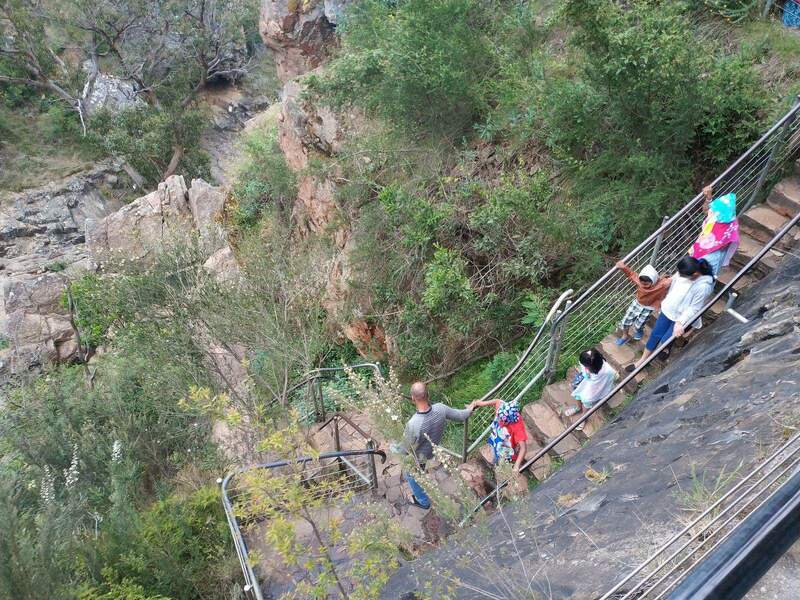 Then take a walk up to one of the many lookouts to get the best bird’s eye view of the surroundings. 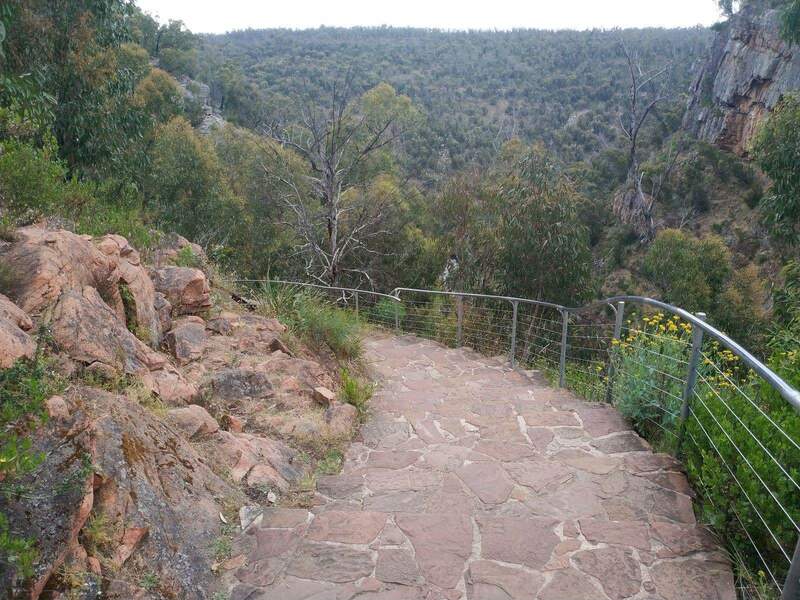 The picturesque viewing platform at the falls overlooks the hill ranges and the waterways nearby. 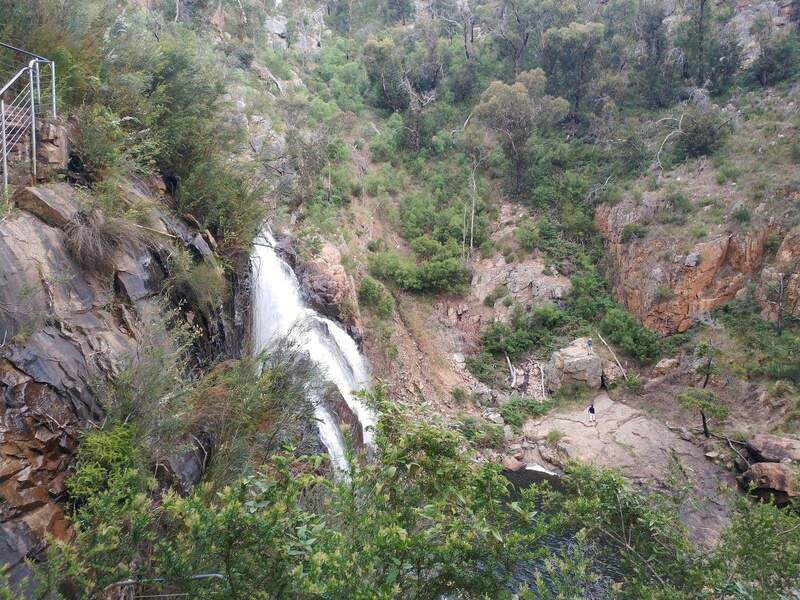 A walk to the bottom of the falls is steep on a good and clear track that is and is a 2km return trip. It typically takes takes around 1 hour and 30 minutes to complete (return). 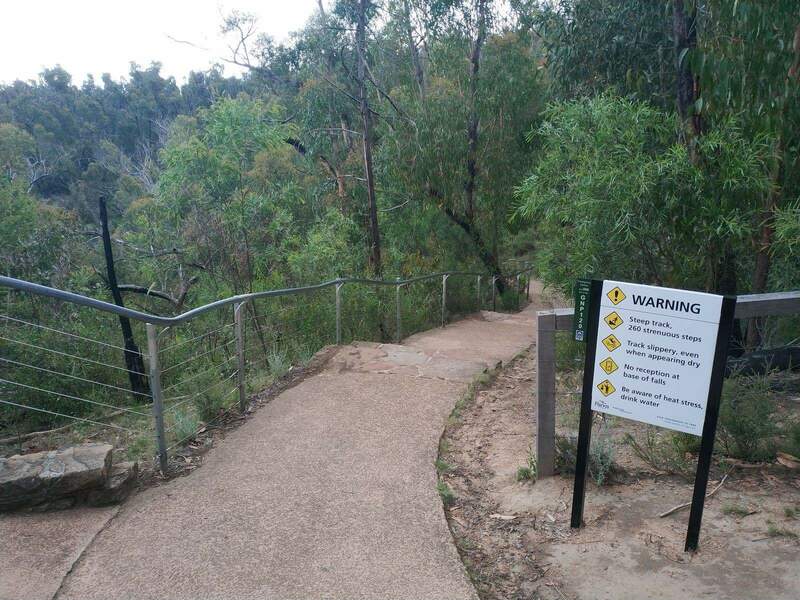 For those heading to the viewing platform at the MacKenzie Falls Lookout, this is a gentle grade on a good track and is only 1.9kms return and will take about 40 minutes (return). The lookout has easy access for wheelchairs. 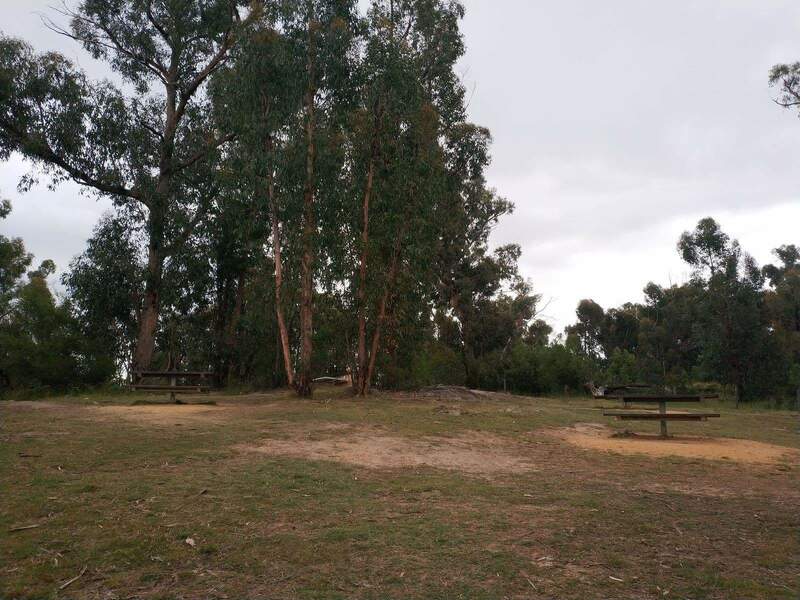 Public amenities include carpark areas and picnic grounds with tables and outdoor BBQ facilities at some areas. 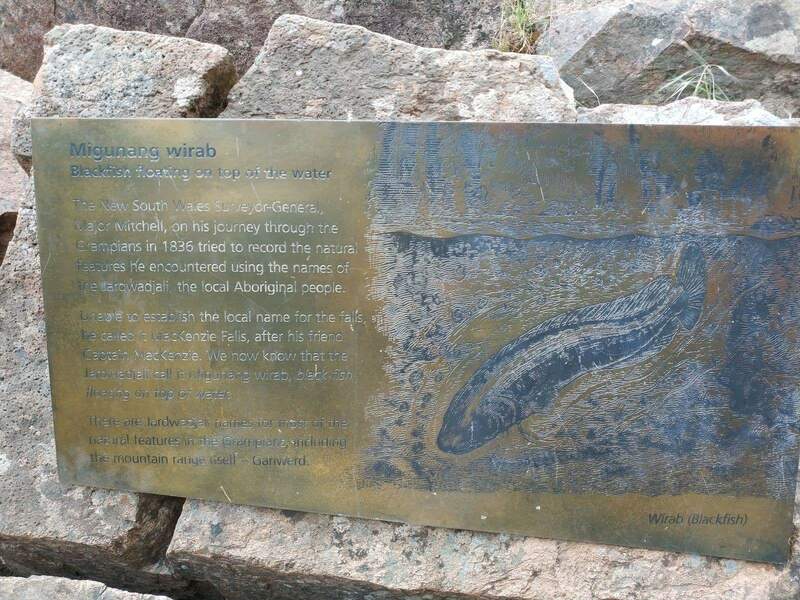 Near to the falls, you will also find a visitor’s centre and the National Park Stock Image Gallery. Guests interested to learn more about the area’s vibrant geography and rich history can visit the gallery to check out the various pictures and artefacts. 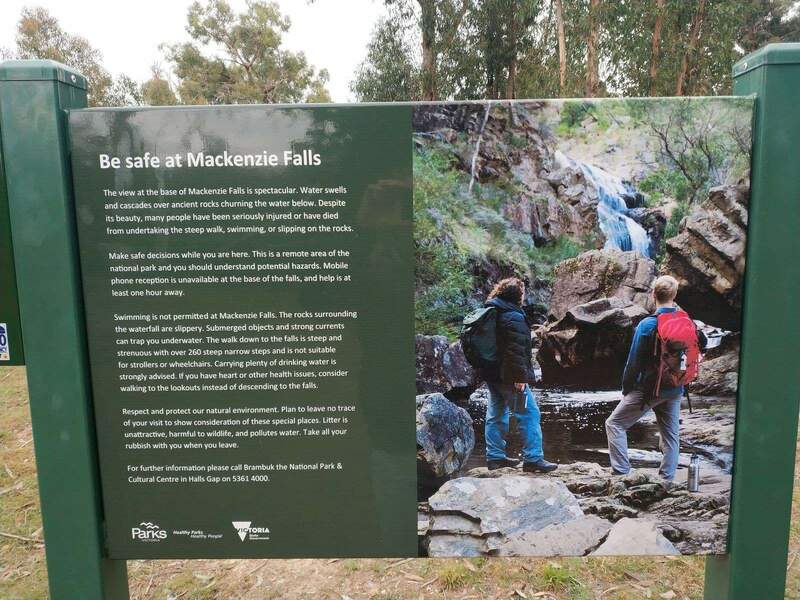 For younger (or older kids), walk to MacKenzie Falls Lookout – Distance: 1.9km return / Duration: 20 minutes one way / Track condition: Good / Grade: Gentle / Start: MacKenzie Falls car park. 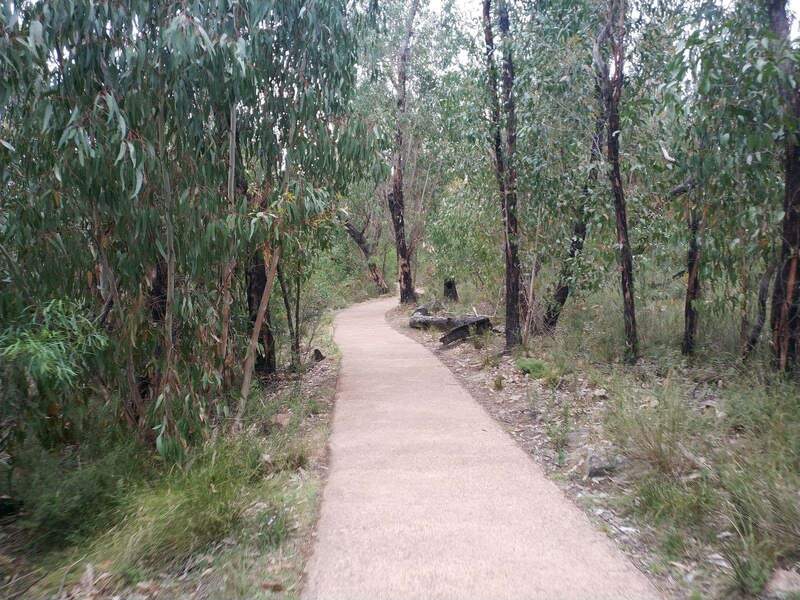 Have a wonderful time in the Grampians! Hi there, I’ve searched the site but can’t find if the falls, and other popular places allow dogs on a leash. Can you let me know about this please? Dogs are not permitted anywhere within the National Park. 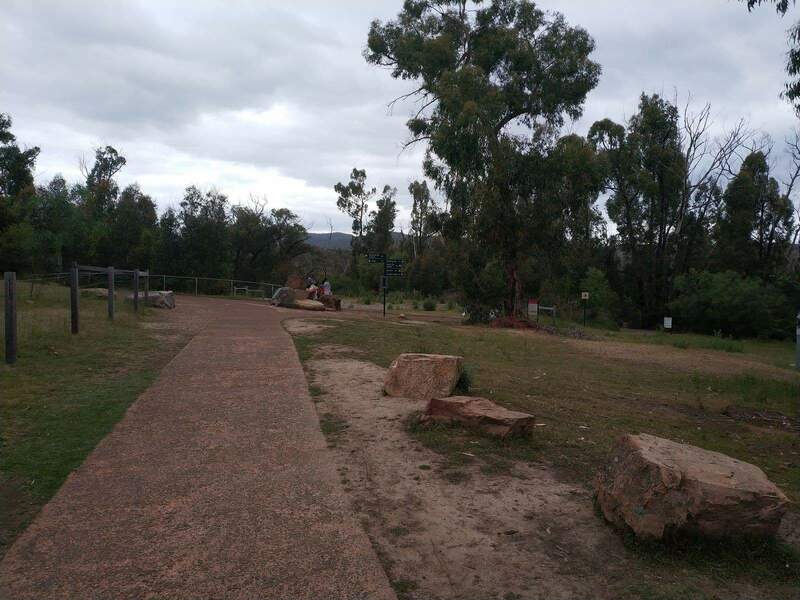 There are some dog-friendly accommodation providers in Halls Gap, but if you want to walk your dog in this area, you will need to head east from the National Park, perhaps to Ararat Hills Regional Park. What’s the road like? We have a medium size camper-van, will it be wide enough for us to come? Yes, mid-size campervan will be fine. 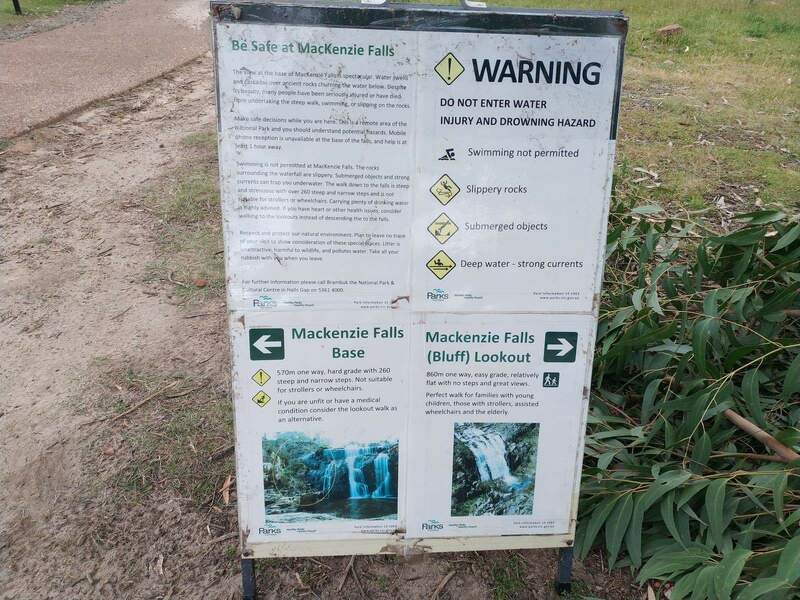 Head to the Mackenzie Falls car park off Old Mill Road and walk down to the base of the falls. Have a great time! 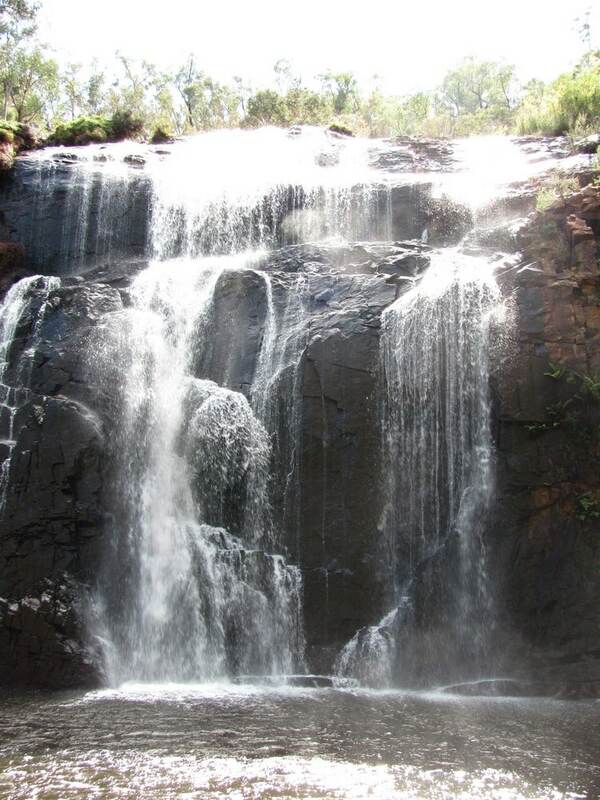 Where is the closest camping grounds for tents near Mckenzie waterfalls or the venus baths ? 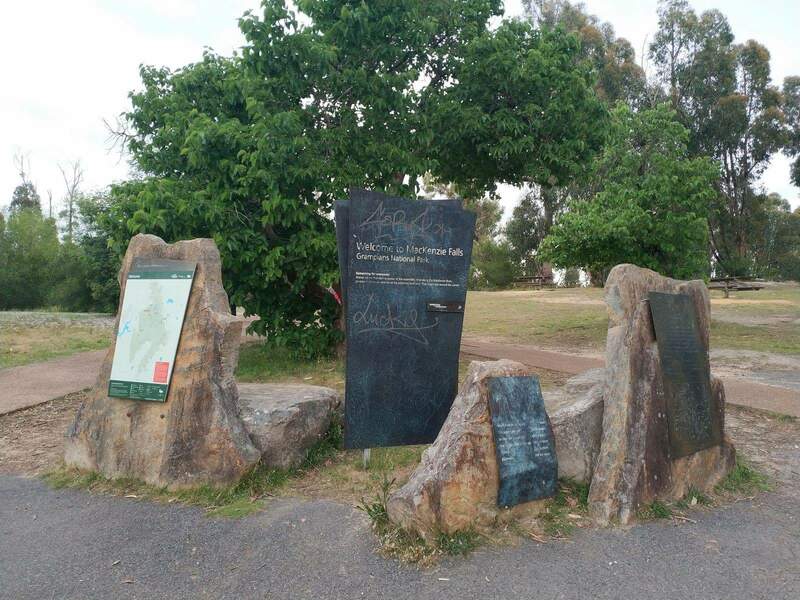 There are a number of campgrounds in the Grampians region, so I have linked to a map for you here which has details on each. 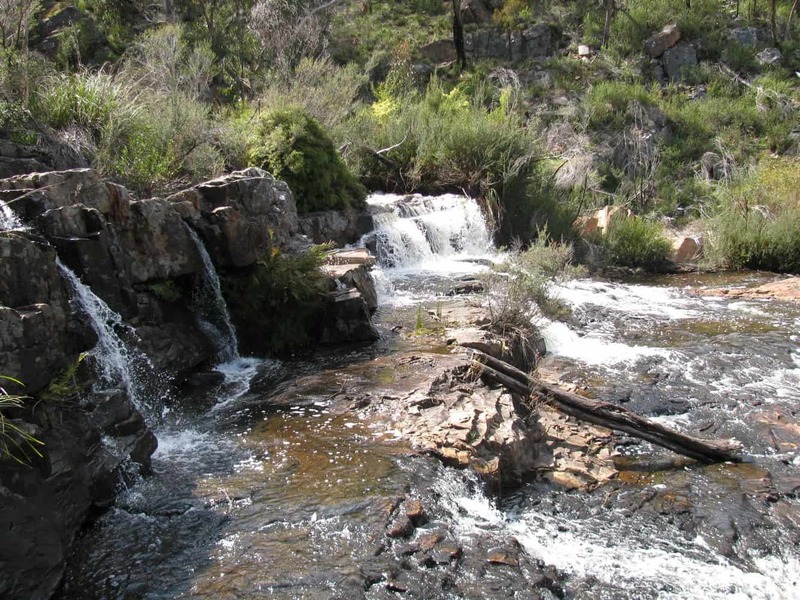 Smiths Mill Campground is the closest to Mackenzie Falls. Have you tried Google Maps? 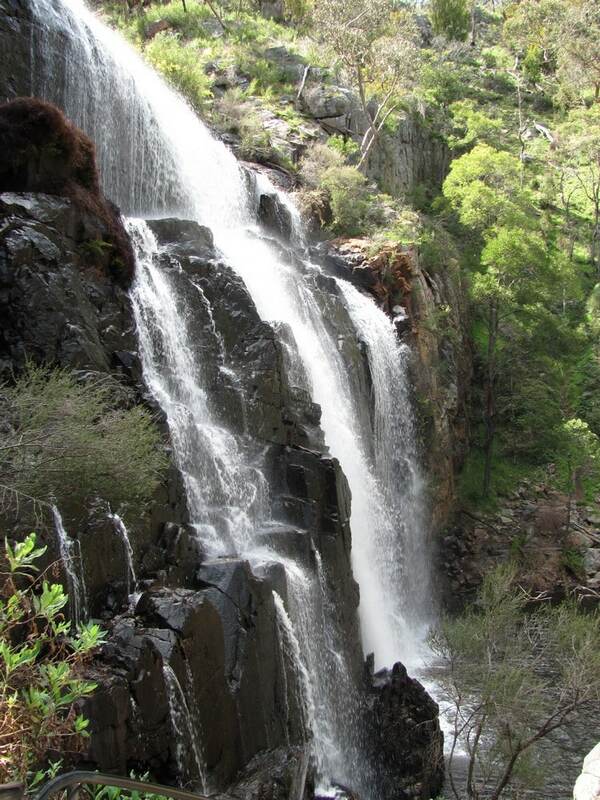 It is a 17km walk from Halls Gap to the Mackenzie Falls and a further 2kms down a steep track to the base of the falls. 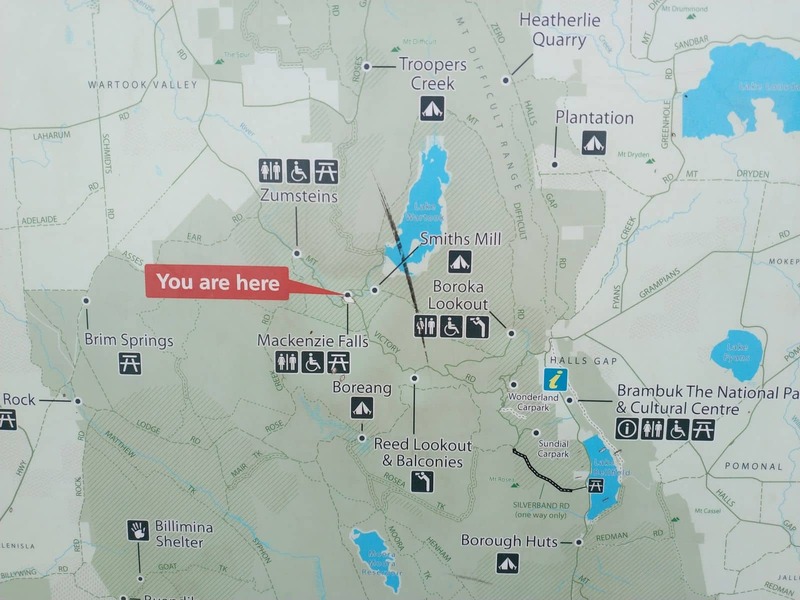 I would say that the walk will take around 4-5 hours each way, depending on your fitness. Hi are we allowed to swim in th waterfall? 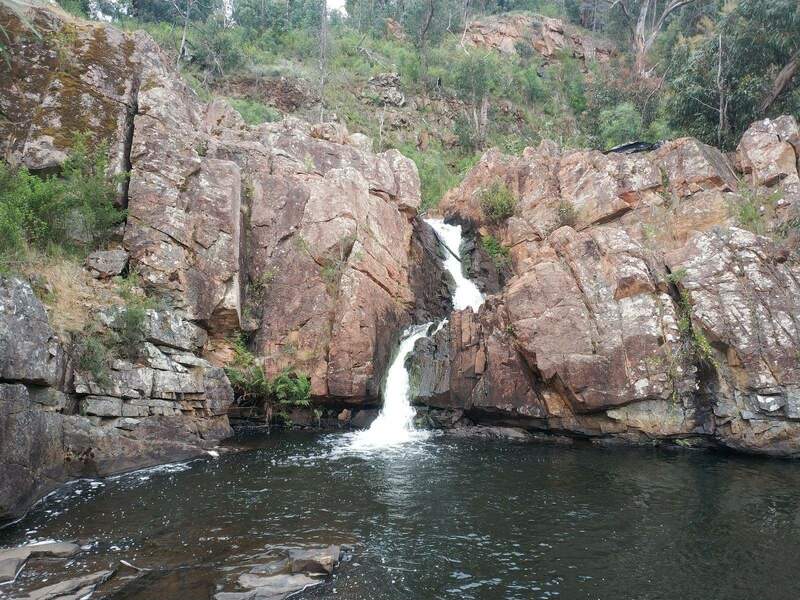 Swimming is not permitted at the base of the falls as it there are very deep areas and it is very dangerous. 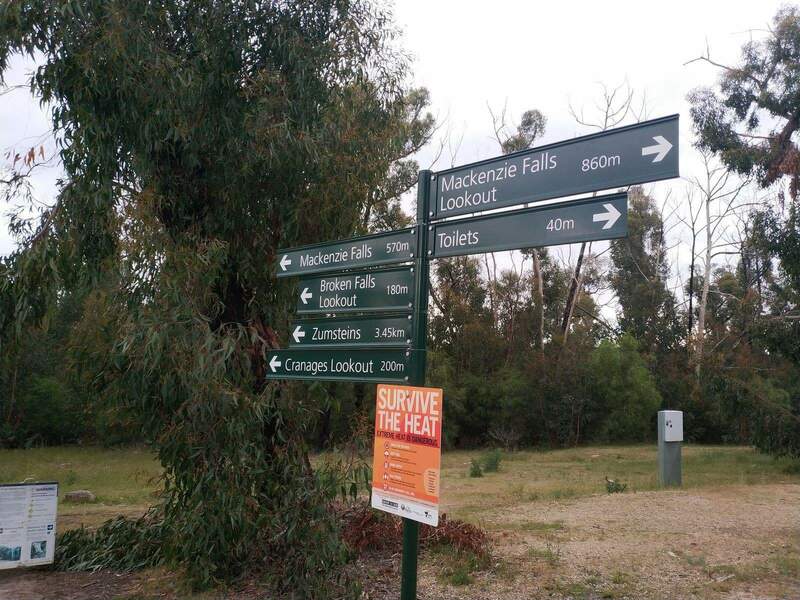 Just asking the approximate walking time and distance from the carpark to the base of the falls. The distance is only 1.9km (return) and takes about 10-15 mins each way. 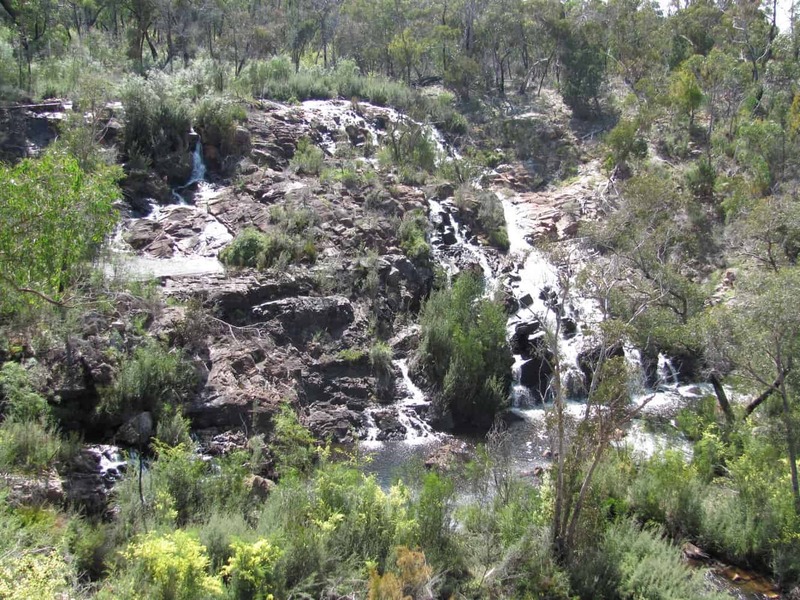 Is it possible to take a pram on the walk to see the waterfalls? 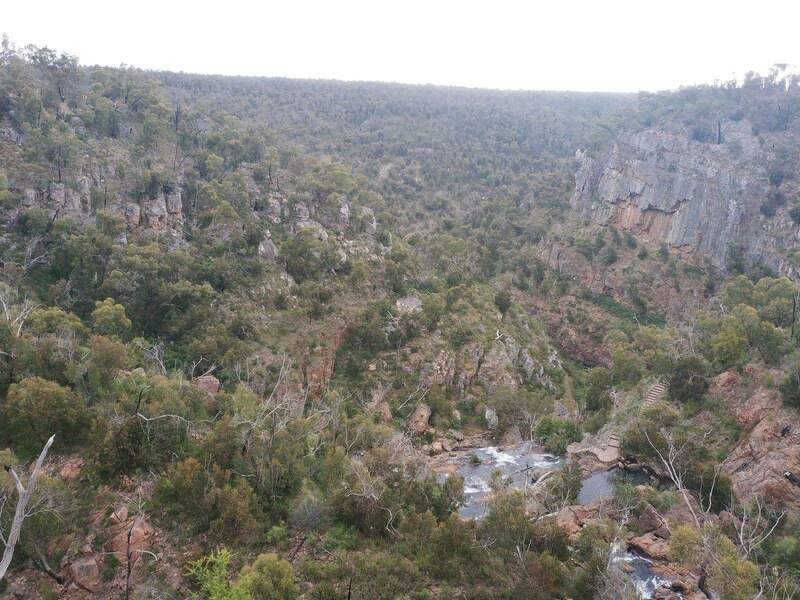 There are two lookouts at MacKenzie Falls: Broken Falls Lookout and the base of MacKenzie Falls. 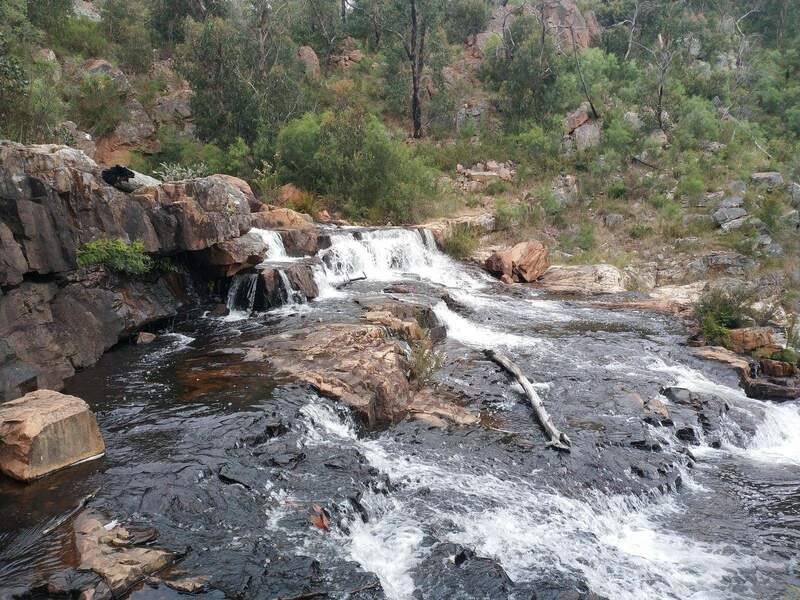 Broken Falls lookout – Grade: Easy. 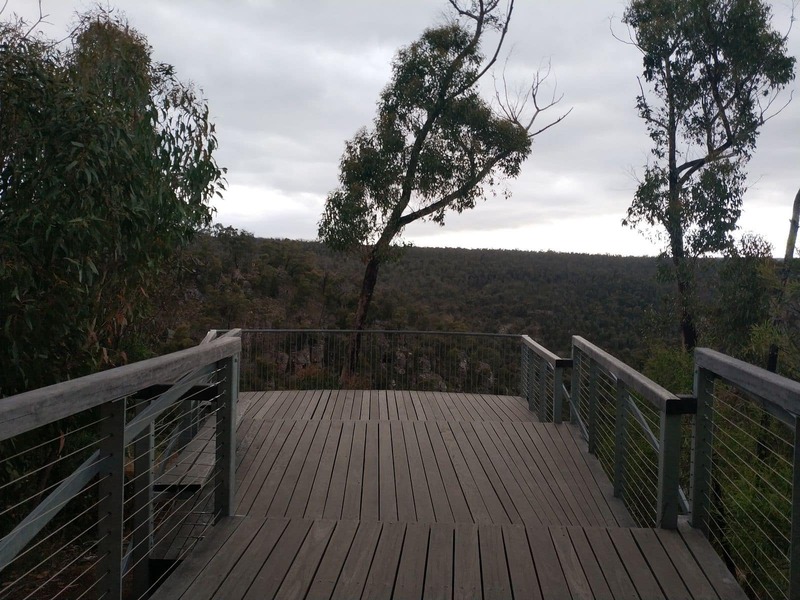 Broken Falls Lookout provides a sweeping view of the MacKenzie River and is accessed via a short, sealed walking track from MacKenzie Falls Carpark. 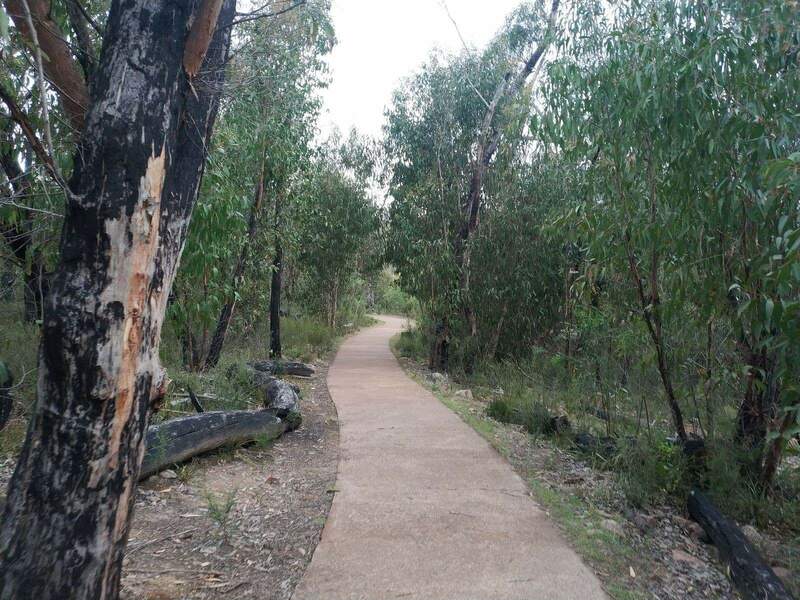 The initial section is steep, but the track and lookout are suitable for wheelchairs. 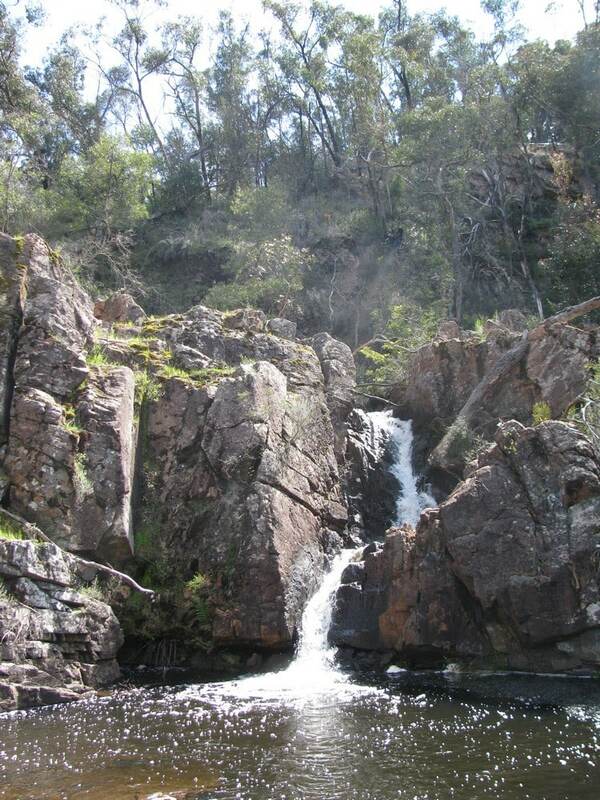 Base of MacKenzie Falls – Grade: Medium. 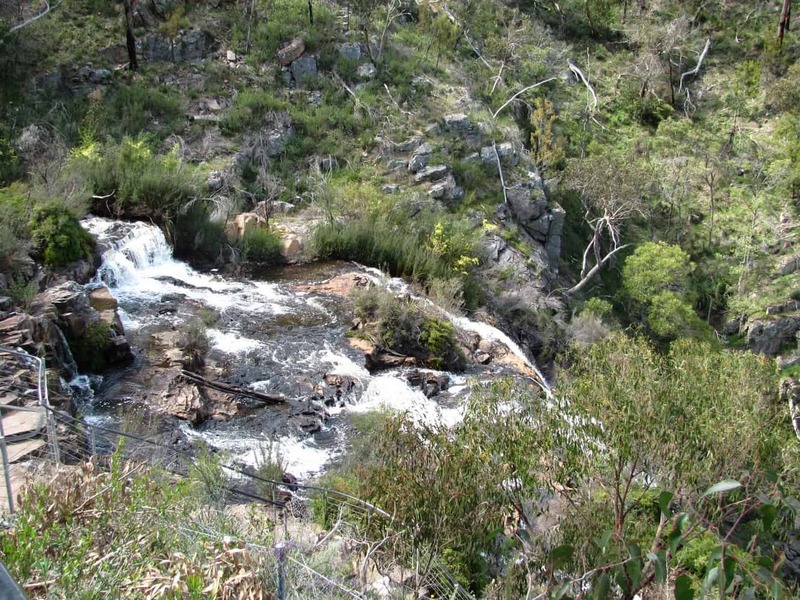 To continue to the base of MacKenzie Falls, return to the main track intersection and continue along the signposted track past Cranages Lookout. 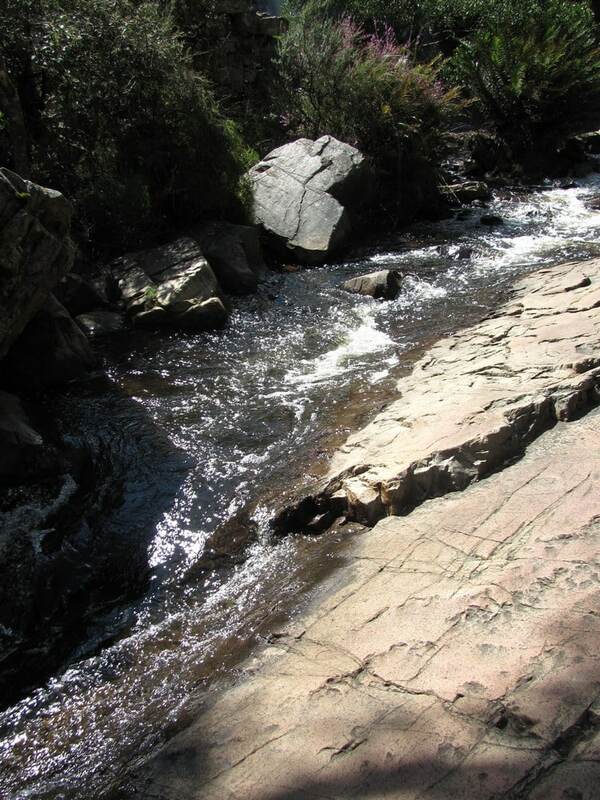 Take care, as this walk has many steps and is steep, slippery and strenuous in sections.